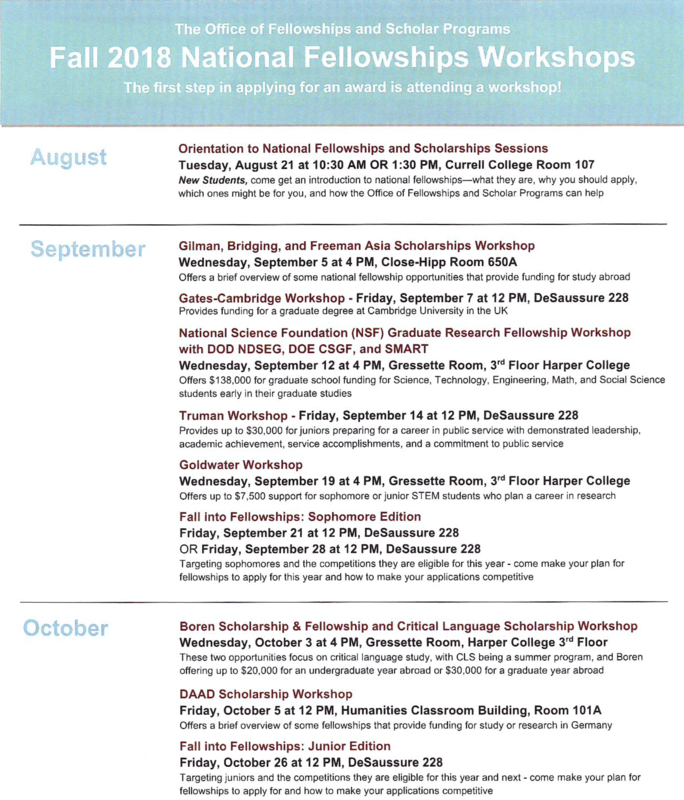 More details at the Office of Fellowships and Scholar Programs website. Two positions of Student Researcher are available as part of an internally-funded grant project. Undergraduates from any discipline may apply; coursework in Media Arts, Art History, Graphic Design, Computer Science, Geography, and Library Science is preferred. Student Researchers will contribute to a collaborative and interdisciplinary project devoted to reimagining eighteenth-century architectural illustrations and maps by Giovanni Piranesi from USC’s Irvin Department of Rare Books and Special Collections. I work for Datanova Scientific and we’ve posted internship opportunities on the SC job board previous years. Currently we’re looking to hire a data engineer and a developer. Ideally, we would like to give the opportunity to new graduates. 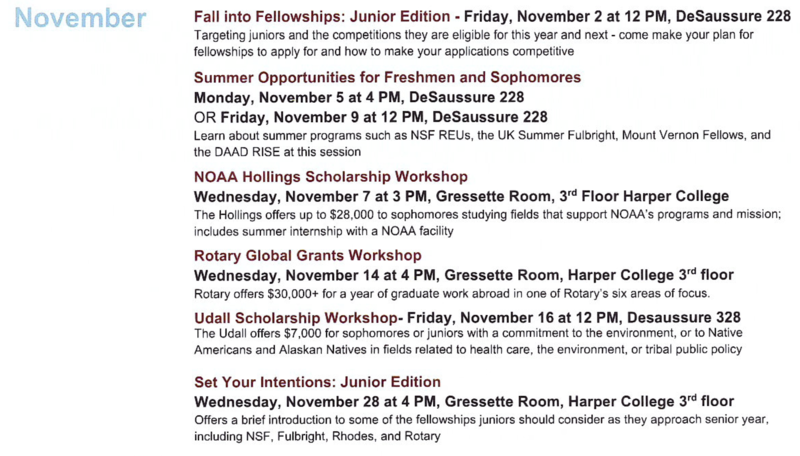 If you could let your past and current students know of these opportunities, it would be much appreciated! Design and implement Micro service–based solutions to support back–end processing. Create RESTful Web services to expose and process data. Contribute within a DevOps enabled continuous integration environment. Due to a sudden and unexpected retirement, the UNCG Department of Computer Science has an immediate opening for a full-time Visiting Assistant Professor for the 2018-19 academic year. Candidates will be teaching some master's level and upper-level undergraduate classes, so must have either earned their Ph.D. or be completing a Ph.D. program shortly (defending in a month or two). My name is Emma Gregory. I am a corporate Talent Acquisition specialist at UPS. I was at SC, with a few of my colleagues from our engineering department last week and met with some amazing students. I am reaching out for you to inform you of several open plant engineering positions UPS currently has available. 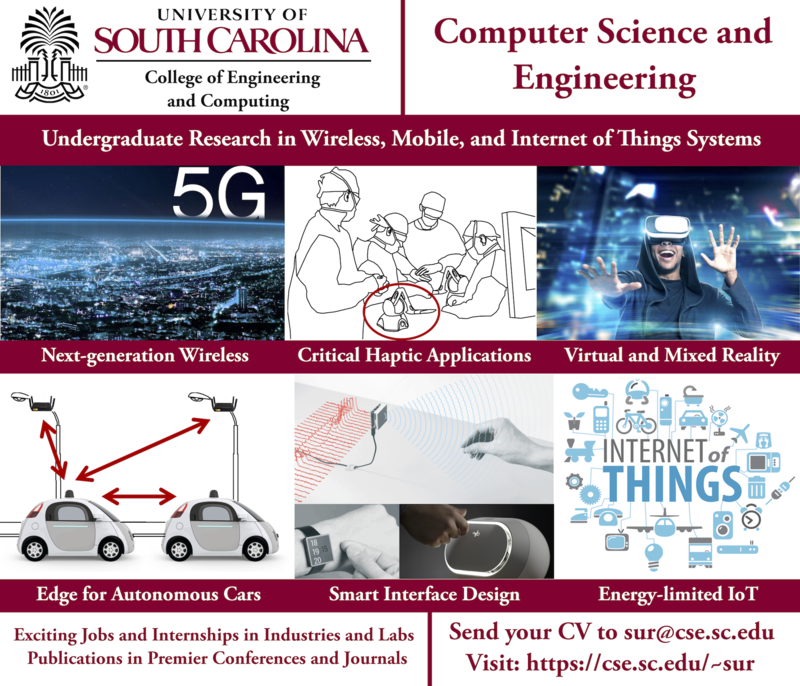 We are very interested in interviewing electrical engineering, computer engineering, and computer science majors. I’m working with the Institute of Souther Studies, Digital US South, and the LIbrary’s Digital Collections on finishing up our Historic Southern Naturalists project. Our original student developer has stopped working, so we’re looking for another student developer to take over fixing the remaining php bugs. SAN MATEO, CA and COLUMBIA, SC – June 21, 2018 – SIOS Technology Corp., the industry pioneer in the application of artificial intelligence (AI) to help enterprises lower costs and ensure resilience of their critical information technology infrastructures, today announced the opening of the SIOS R&D facility at the M. Bert Storey Engineering and Innovation Center at the University of South Carolina’s College of Engineering and Computing in Columbia. The new facility will serve as the SIOS R&D center for product development and is strategically located at the University for the purpose of advancing collaborative research in AI and machine learning through collaboration with students and faculty. We are looking for a Online Content Designer with excellent HTML, CSS, and some PHP abilities to work alongside our Communications and Marketing Team in Columbia, SC. You will be responsible for developing thoughtful and visually stunning websites for our non-profit. In addition, you’ll be recording and editing video content that will be used for promoting the REALTOR® brand, professional development and membership communications. You will also assist the Communications and Marketing Department with various duties as needed.